Author's Note: The extensive posting on how to diagnose your trading problems is helpful background to this series on challenges in trading psychology. Before seeking solutions to issues that impact trading, it's important to figure out whether those issues are trading problems impacting psychology or psychological challenges interfering with trading. The above linked post can help you make that important distinction--as well as a few other, key ones. It's not unusual to hear young traders declare their passion for trading and their complete focus on developing themselves as traders. When I hear that, I worry. Very often those same traders are ones that burn out when they hit inevitable stumbling periods in their trading. They pour themselves into markets and when markets don't give them anything back, they have nothing more to give. Quite simply, they're burned out. There are a few tell-tale signs of emotional burnout among traders, including loss of motivation and energy; negative, hopeless, and/or resigned thinking; and a loss of interest in life activities. 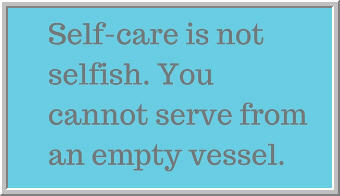 When I have been in a burnout state, I have felt overwhelmed. I can't find the mental or physical energy to take on another task or responsibility. It's a complete sense of overload. In that state of overload, it's impossible to focus fully, further contributing to missed opportunities and poor decisions. Equally crucially, in the burnout state, we cannot engage in high quality learning. We're merely coping with our experience, not actively processing and learning from it. For these reasons, burnout can take the form of a downward spiral, as lower energy and focus contribute to further performance problems, which in turn drain us of energy. Lack of productivity--working many hours, but accomplishing little--is often an early sign of burnout. Negative attitudes are also an early sign. Many times, burnout in trading leaves people with little energy for the rest of their lives: relationships, family, exercise, etc. This, too, becomes a downward spiral. When we lack energy, it's easy to avoid activities that initially take effort, but that could ultimately renew us. 1) Take Breaks - We can exhaust ourselves simply by sustaining concentration for long periods without any form of renewal. Taking breaks during the trading day can help us review performance and make corrections. It can also help us relax, clear the head, and renew our energy. The key to effective breaks is that they keep you active, but not in the way you're active in front of trading screens. Physical activity, social activity: These are stimulating, but in different ways than trading. Changing gears helps you restore those willpower muscles. This principle applies to weekends and vacation periods as well: those are longer periods of renewal. When you are truly burned out, trying something different at work is the wrong answer. Any "trying" will simply further exhaust you. Taking a complete break from work allows you to return with energy and focus, attacking your situation with a fresh perspective. 2) Build In Rewards Even When Trading Is Not Rewarding - I am consistently impressed with how the most successful traders find work-related rewards outside of P/L. Many of them work in teams and thus reap the psychological rewards of developing junior talent and contributing to others. Many of them conduct their own research efforts and thus find fulfillment via intellectual curiosity. During a period of flat to down performance, those research efforts may target new edges in markets, providing a sense of opportunity. In all of these cases, traders evaluate their performance on multiple dimensions, not just P/L. They find intrinsic rewards in managing money and are thus less likely to burn out during frustrating times. 3) Build In Rewards In Life Outside Of Trading - As I emphasized in a recent post, using free time as down time is often a mistake. You want your time outside of trading to be "up" time. That is, you want your time outside of work to be energizing and stimulating--giving you energy at times when you're feeling sapped. It is this positive use of time that prevents temporary overload from becoming a downward spiral of burnout. Romantic relationships, friendships, physical exercise, personal interests, travel--all of these are potentially energy-giving. If you find yourself unable to enjoy non-trading related rewards and unable to benefit from the breaks you take, consider the possibility that your situation is more than a burnout. Depression takes many forms and affects a significant portion of the population on a 12-month basis. Especially if you have a family history of depression, consider seeing a qualified professional for a diagnostic screening. There are many evidence-based therapies and medications for depression that are worth looking into if burnout seems chronic. The key is that true burnout is situational. Once we re-establish an equilibrium in lifestyle, we quickly regain our psychological equilibrium. Balance in daily activities--and in life overall--ensures that no one setback in life will overwhelm us. A great formula for well-being is a diversified and full life portfolio. An interesting post from Adam Grimes explores the limitations of modeling successful people in trading. There is much more to success than merely copying what others are doing. And yet I find consistently that the greatest success among developing traders comes from working within teams. For the last couple of days I've been working at a firm where all traders operate in teams and the teams operate within larger trading groups. Every two weeks the traders meet in their groups to review performance, set goals, and learn from the experience of others. The team leaders talk about their trading and that sets an example for the other traders. Quite literally, teams expand the number of role models possible to a trader. 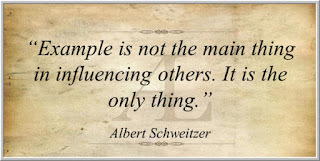 We learn, not from merely copying others as Adam points out, but from understanding what they are doing and how. Seth Freudberg heads up the Options Tribe at SMB, where traders, operating from their own home locations, learn specific options strategies and then meet as a virtual team to work on performance. Every month I get a P/L statement from Seth regarding the team's performance, so I see how well the development of the traders has progressed. The returns have been very positive and consistent, and that is because there has been teaching by example. Seth trades the strategies, shares his mistakes and successes, and establishes a culture where every participant is both teacher and student. The mistake developing traders make is viewing education as a one-way process, where there is a teacher with all the wisdom and knowledge and students who absorb it all. The team approach features the leader as an advanced student. This creates an environment in which sharing becomes the norm and everyone takes responsibility for the development of others. The advanced students learn from each other and also from the ideas and successes of the newer students. Those newer students absorb the lessons from the more experienced role models. Want to immediately benefit from the power of teams? Find just one study partner for 2018: someone you will work with in tracking markets, learning from successful and unsuccessful performance, and having fun in growing as a trader. In traditional Jewish settings, learning occurs chavrusa-style, where students pair up and intensively prepare for lessons and challenge each other to come up with new and deeper understandings. Just one study partner can create a dynamic learning environment. There are more resources out there than ever, including valuable training resources. (I see Adam has come out with a new book to guide traders through his free online course). We can team up with others participating in trading communities (great way to find like-minded study partners) and create review processes that supercharge our trading. Teams keep each other focused, they keep each other motivated, and they create multiple role models. Show me a successful businessperson, researcher, or athlete, and I'll show you someone who has benefited from teamwork. A great goal for 2018 is to double down on teaching others--and learning from them as well. Will Your Trading Success Truly Last? You've made strides in your trading. Results have been favorable. How can you ensure that today's success won't be tomorrow's flame-out? It's an important question. How many of yesteryear's Market Wizards would earn that designation from their recent returns? Not one of the Wizards in the original text was a true quant. If the book were being written for the first time now, we would see several math wizards highlighted. Times change. Edges in markets change. Today's success does not guarantee a bright tomorrow. How can we achieve, not just success, but lasting success? Greatness in trading can be found outside of trading hours. It can be found in how traders prepare for tomorrow's ideas and positions, but it also is found in how traders prepare for the long-term growth of their businesses. A good trader has an edge. The great trader is always developing edges for the future. Great traders treat their craft as a true business, maintaining an ongoing research and development pipeline. Show me how a trader utilizes their time outside of trading and I'll show you the odds of their long-term success. One trader I worked with years ago made a spectacular effort to teach himself programming, data management, and quantitative analysis while he held a full time non-trading job. With his new skills, he joined a portfolio management team and together he and his partner achieved multi-million dollar success. It took evenings and weekends of effort to get to the point of being prepared for success. A major challenge is that traders don't feel they have the time for building their pipelines. They are so busy trading that they have little time and energy for cultivating tomorrow's sources of edge. They try to manage their time and create opportunities for research, but aren't productive in those leftover hours. In a recent Forbes article, I wrote about how we can find our success by focusing less on time management and instead energizing our time. 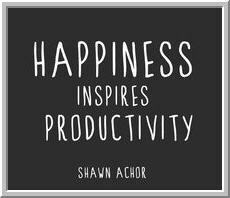 Happiness inspires productivity, because we are most likely to immerse ourselves in activity that is intrinsically rewarding. When we find opportunities that truly speak to us, the work effort *gives* energy. Research and development is no longer just another task in a to-do list; it is the pursuit of a vision that provides joy and meaning. This is why so many traders who experience long-term success display unusual intellectual curiosity. They are driven, not just by money, but by the process of discovery. Exercising a strength is not work; it is a high level of play. Our trading success is most likely to last if it is part of a process that exercises our highest capacities. You can find tomorrow's edge in what intrigues you today. Are You A "Strong" Trader Or A "Weak" One? One looks for patterns and relationships that will occur universally and trades those consistently over time. The other looks for stable periods in markets and trades the patterns and relationships that typify those regimes. For the first trader, trading psychology is all about consistency and maintaining a consistent mindset. For the second trader, trading psychology is all about flexibility, creativity, and adapting to changing conditions. One is a stiff tree; the other is bamboo and willow. The stiff tree has a hard trunk and looks strong. It breaks when the wind blows hard. Bamboo and willow have no trunk and look frail. They bend with the wind and don't break. There is a distinct regime in the current market. There are patterns and relationships playing themselves out with regularity. How is your P/L? 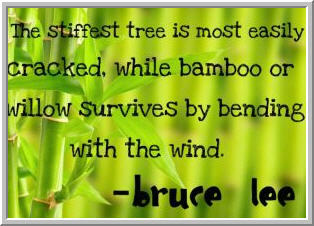 Are you the "strong" and stiff tree, or the "weak" and flexible reed? So here is a chart of two trending markets. What are they? The blue line is pretty familiar: it's SPY since the start of 2016. That's a pretty high Sharpe trend. 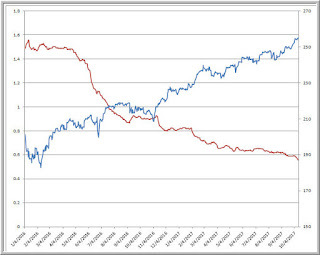 The red line is not so familiar: it's a 100-day moving average of the average daily true range of SPY. 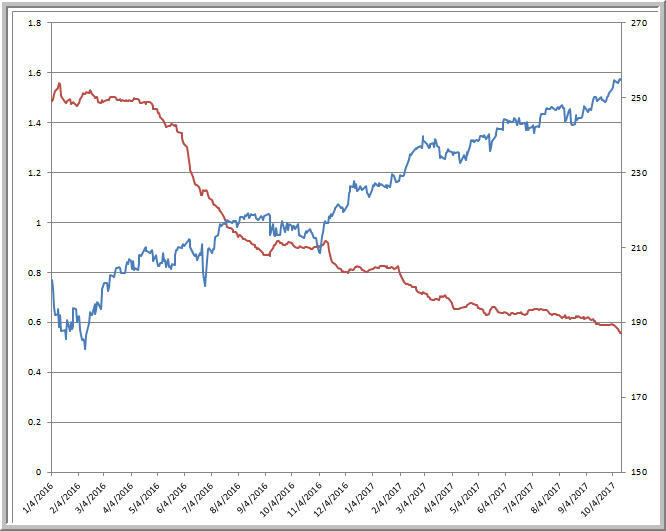 In other words, the red line represents average daily movement (realized volatility) of SPY. Note that we're getting roughly one-third the movement each day that we saw early in 2016. And it's not getting better: the past five trading sessions have averaged a daily true range of .33%. That is closer to one-fifth the movement we saw early in 2016. No wonder active traders have been challenged lately. It's difficult being a directional trader when there is little movement in the instruments you're trading. The one refrain I've heard from those active traders over the past two years is: this is going to turn around. Stocks are too expensive. Rates are too low. Volatility is too cheap. Everyone wants to catch the turn and profit from the break. So stocks dip, VIX bounces, put/call ratios go to the moon, and the trends continue. Moderate growth with modest inflation and low interest rates that make stocks a desirable carry instrument mean that SPY has ground higher and vol has ground lower. Traders' forecasts for reversals in stocks and vol have had more of a psychological grounding than a logical one. Hope is not a business plan and it's not an edge in markets. What has been more successful have been strategies that have targeted small cap and higher volume momo stocks that provide greater average daily movement. Also successful has been migration to asset classes providing greater volatility, from commodities to cryptocurrencies. And what has been successful has been true trend-following: investing (not actively trading) equity and vol products. The point here is that markets go through regimes and those regimes can last longer than traditionalists can stay solvent. The momo boom of the late 1990s killed short-sellers accustomed to price action from the 1980s. The collapse of momentum and bear markets of 2000 and 2008 wiped out many who had benefited from the prior bull market. Now we're seeing a regime in which there is a major bear market in volatility, quite the change from 2007-2009. This too shall change. As I've noted earlier, volatility bottomed in late 1993 and late 1995, only to see the bull market really roar on higher volatility into 2000. It's not inconceivable those dynamics could repeat themselves, with debt and low interest rates and fiscal stimulus stoking an already growing economy with low official unemployment. A rise in vol does not necessarily entail a bear market in stocks. But that is tomorrow. Our job as active traders is to profit today. We trade what we see, not what we crystal ball. Adapting to the current regime requires a rethink about what we trade and how we trade it. There *is* opportunity out there. One active trader I work with had career high P/L this past week--just as VIX was languishing in single digits. It can be done. But not by merely hoping. Fascinating research by Andrew Lo and Dmitry Repin at MIT hooked traders up to physiological monitors to assess their emotional responses to markets in real time. They found that all traders exhibit emotional processing. The least experienced traders exhibited the most extreme emotional reactivity. The authors speculate that an important difference between experienced and inexperienced traders is that the experienced ones focus on their emotional experience to access intuitive insights. The least experienced traders become overwhelmed by their emotional experience in a fight or flight fashion. This could help explain why high levels of emotional experience were associated in their research with poorer trading returns in their subsequent research: moderate emotional arousal became a stimulus for focus for the pros, whereas high arousal becomes a distraction for the newbies. This points to an essential difference between a pro trader and an amateur. When the pro faces market challenges, he or she increases focus. When the amateur faces challenges, focus is overwhelmed. In the face of large market opportunity or threat, does a trader gain or lose focus? 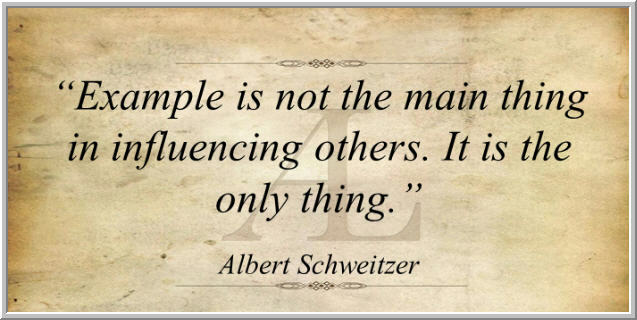 That distinguishes successful traders from less successful ones. In a recent post, I compared the successful trader with a sniper. The sniper actually lowers heart rate and body arousal as the target comes into focus. It would be an amateur who would become excited over the appearance of the target, allowing physiological arousal to interfere with aim. I knew I had become a professional psychologist when a client opened a meeting by expressing serious suicidal feelings and impulses. I immediately became very calm and focused and gave that person my fullest attention. There was no way I could have done that when I was first learning in school. It was repeated experience--and confidence gained from that experience--that enabled me to view crisis as opportunity, not threat. 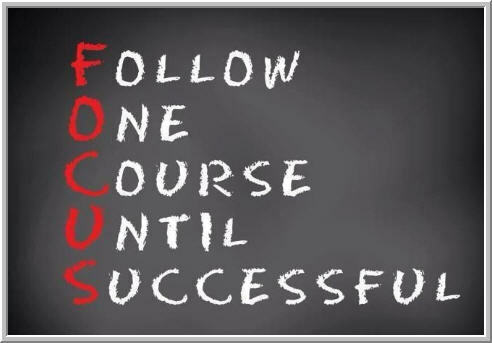 Every day of trading can be practice in developing focus. We can either exercise our concentration and attention or we can reinforce poor habits of distraction. The successful trader does not *control* emotions. The successful trader is sufficiently focused to learn from emotional experience. * Significant learning and practice precede going into the field and developing expertise. The sniper shoots at many targets under realistic conditions before ever going into actual battle. * The sniper must adjust to conditions in the field. Hiding is different in the desert than in the forest. Shooting is different in the wind and rain. * The sniper maintains supreme self-control. The excited, high-fiving sniper doesn't last long. It's the sniper who can stay motionless for extended periods of time, controlling breathing, and maintaining steadiness who can make the shot and hit the target. * The sniper retreats after the kill. There is no operating on tilt, no taking of impulsive shots, no overconfidence once the target drops. The priority becomes moving and remaining undetected. 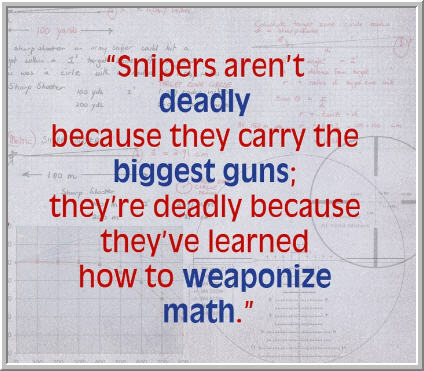 * The sniper weaponizes math. Many calculations precede the good shot. The sniper adjusts for distance, gravity, and the movement of the target. The sniper adjusts for wind speed and changes in the wind. The slightest miscalibration sends the bullet astray. * The sniper follows an integrated process. Army Manual FM23-10 describes the sniper as following an "integrated act of firing", with a preparation phase (complete maintenance and check of equipment); a before-firing phase (maintaining position and checking aim); a firing phase (controlling breathing and body movement, steady squeeze of the trigger); and an after-firing phase (noting the kill or determining errors that led to an errant shot). 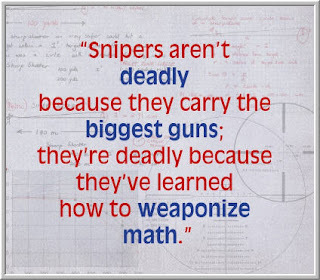 Perhaps most important of all, the sniper--like all true performance professionals--spends much more time preparing for the kill (practicing, hiding, observing) than actually shooting. From athletics to Broadway productions, the performance professional practices and reviews performance for much more time than he or she spends on the field or stage. It is the hours of motionless waiting and continual maintenance of the rifle and regular practice under different conditions that prepares the sniper for one good shot. If you're trading with a sense of excitement; if you're spending more time trading than preparing for trading and learning from past trading; if you find yourself firing away without following an integrated process, think about what would happen to the sniper under similar conditions. Snipers operate in an environment of opportunity--and risk. Financial markets offer a very similar landscape.